The sake brewer in all over Japan which continue ingenuity and original efforts of product development, established by authorization from the Finance Minister(Current Minister of Finance) in 1975. From the first, the word "JIZAKE (Local Sake)" began when this union initially was planned "National Jizake distribution Meeting", and that meeting was welcomed by drinkers across the country who became a pioneer of the local brew boom thereafter, and formerly also became the business model of Jizake (local Sake) brewery who currently are active in the country. 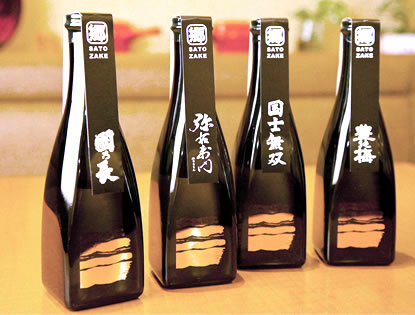 Thereafter, while after the change of the various markets, with the support of the consumer as a real delicious sake, "Jizake" established a strong position in the alcoholic beverages market. However, the information age which leads to diversify more and more in the future, it increases the speed of the evolution point of reference for goods of customers, and the demand for high-value-added products based on the premise of the high quality, and become increasingly severe. Having a contact with the sophistication of this market environment and returning to the basics now, Japan Jizake Cooperative think specifically what kind of sake is the "The Jizake (local Sake) witch has been nurtured cultivated in the mind of the people and culture of the region" in the point of view of customer's, not the position of the maker. You will see a hometown Sake, witch was aroused by water that has moistened by the lives of people of the land, rice and raw materials brought up by the hand of nature and people of the hometown there. We, Japan Jizake Cooperative. named "SATOZAKE" the pure sake that this hometown gave birth. In the future, we plan under the slogan of the vision of "SATOZAKE", continue to expand in the market widely the fascinating sake, liqueurs and Shochu (Distilled spirits) only by utilizing the quality of the region.